I love pumpkin soup. Like. Seriously. Love. Pumpkin. Soup. I live off the stuff about 6 months of the year. But it turns out that I have been making life more difficult for myself than it need be. You see, I have been lovingly roasting my pumpkins for roast pumpkin soup all these years. Not once, have I tried the unroasted variety of pumpkin soup. Not once. Until now. What a revelation! Making pumpkin soup need not take up half my evening! Our old friend Keen’s Curry Powder makes another appearance – couldn’t leave it too long without another hit. He is quickly growing on me and I now consider us good friends. I did not add milk or cream to my soup, so to make it a little less runny just put in enough stock to cover the pumpkin. This recipe is easy to make a big batch of. Triple it and freeze some for later. Chop and cook pumpkin and potato in water with chicken stock cubes. Cook onions in butter until soft, stir in curry powder and cook for 2 minutes (I omitted this step, instead putting a little butter and the curry powder into the bubbling brew). Add onion mixture to pumpkin mixture, combining well. Blend until smooth, adding milk or cream to bring to the right consistency. I also didn’t add milk or cream, however I did add a nice dollop of natural yoghurt on the top of my soup. The tang went beautifully with the sweet, spicy pumpkin. Tip: Don’t throw out you pumpkin seeds! I save mine, toss them in a little oil, with some salt and paprika and roast them in the oven. I scatter them on top of the soup or eat them for a tasty snack! 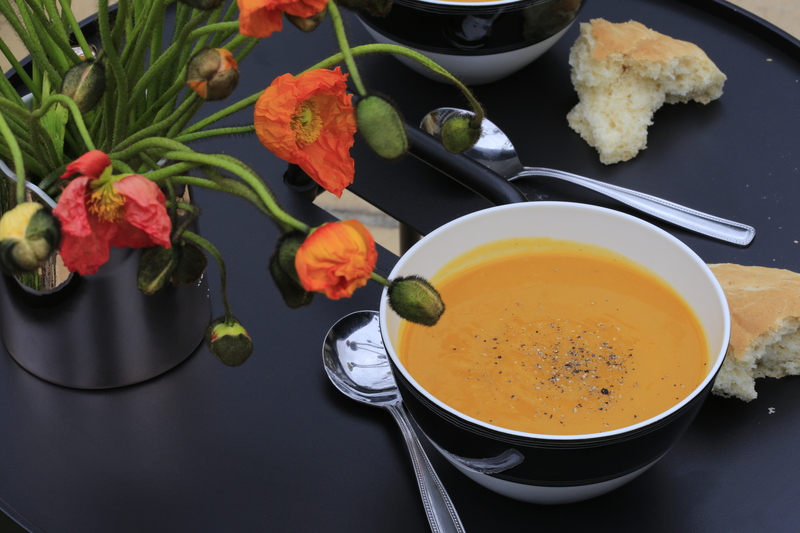 I won’t be giving up on my favourite roast pumpkin soup, it has deeper flavour. But I will be cooking this more often. Thanks again Keen’s. 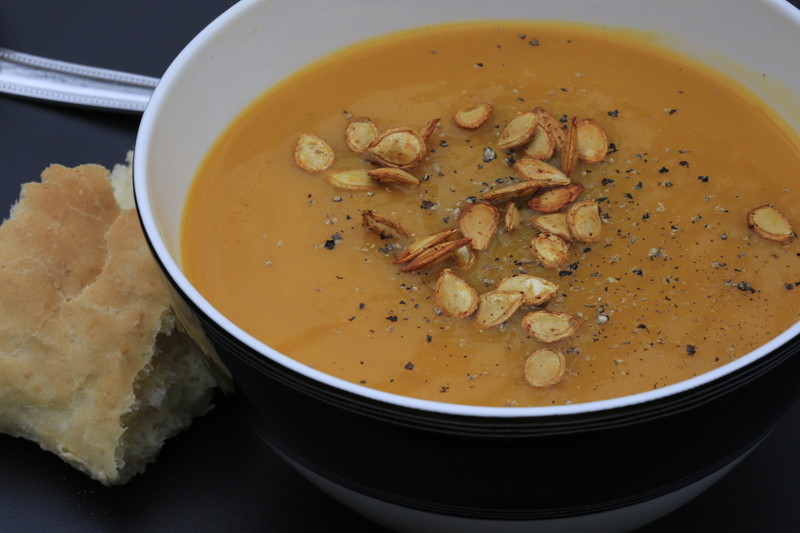 This entry was posted in Main Course and tagged pumpkin, simple food, simple recipes, soup. Bookmark the permalink.